Hello! We are a fun-loving, keen to learn group of 5 and 6 year olds, who thoroughly enjoy our time in school. 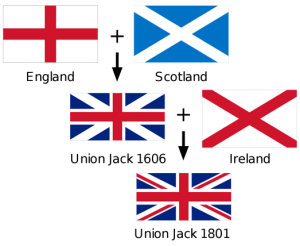 In English, we have been learning about non-fiction books, in particular one about the United Kingdom! 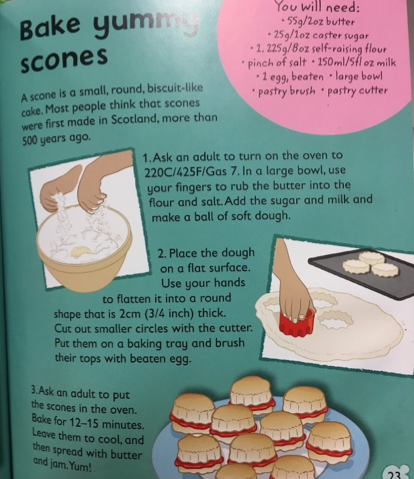 We found out lots of information and even followed a recipe and made our own scones . . did you know they were first made in Scotland? We learnt about the Union flag and how it was made from the flags of three different countries. Our new fiction book is ‘The Egyptian Cinderella’ and we had lots of Egyptian artefacts to explore and a great video to watch, so that we understand the setting for the story. We have had fun learning how to compare the length and mass of objects in Maths lessons. We used straws and lolly sticks for length and marbles and cubes for mass. In Science, we have been finding out about conservation and what we can do to look after our planet. We know that we must turn off taps and lights when we are not using them, to save water and electricity. We also learnt about how cutting too many trees down is harmful to the planet and also to the animals who depend on the trees for shelter and food. Recently, in RE, we had a Super Learning Week where we had lessons about four different faiths: Hinduism, Sikhism, Judaism and Buddhism. It was really interesting to find out the similarities and differences between world faiths. Oh and by the way, we have teachers in Bint Qays too – Mrs Pope and Miss Patel. They like to help us with our learning, just in case we get stuck! Thanks for reading our page.